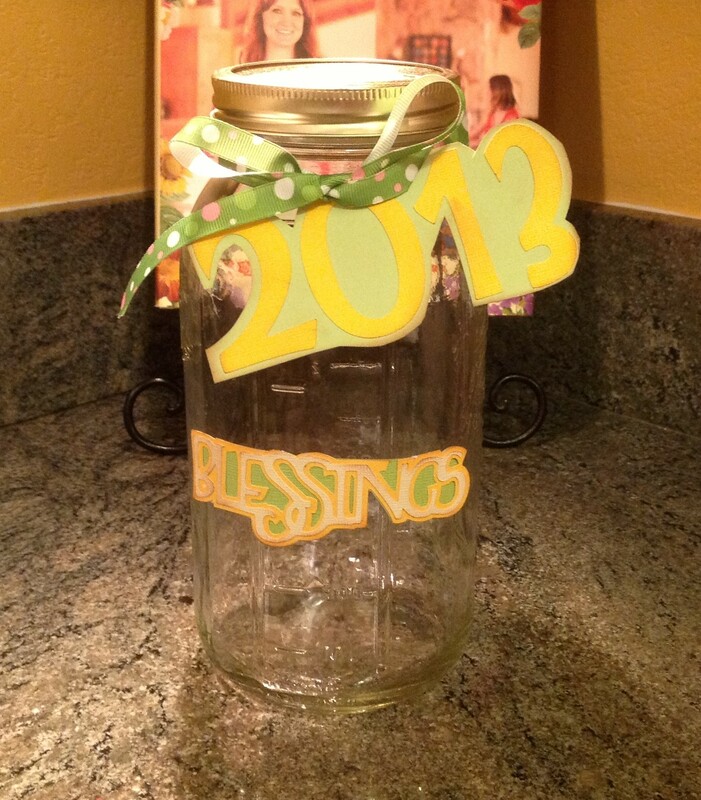 I picked up my jar at Hobby Lobby. Decided to go with the 64 oz. wide mouth mason jar, and it’s pretty big . . . feeling optimistic about 2013 and the wide mouth allows me to stick my hand in there to dig out alllllll of my blessings at the end of the year. That’s the good thing about the new year, there’s always a renewed sense of optimism. So my jar is ready!!!!! Is yours??? Awesome! I am all over this! I need to get a cool jar!